Since 2002, we have been welcoming guests to our historic Catskill Mountain Inn and combining the Victorian character of The Fairlawn Inn with the expectations of the 21st century travelers. With our modern amenities and conveniences in our 112-year-old property, we are focused on being a sustainable hotel and reducing our carbon footprint. 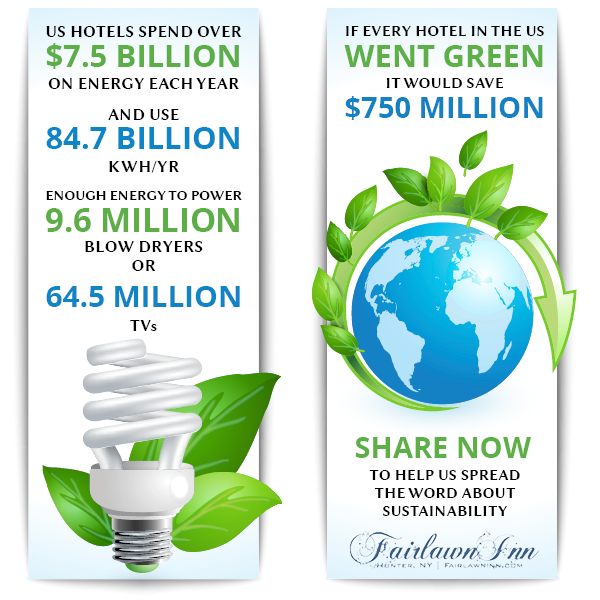 The Fairlawn Inn is proud to be recognized as an “Eco-Green” lodging facility. Our Inn has received 4 Green Key Rating with the International Eco-Rating Program by Green Key Global. This means that our sustainable hotel has shown national industry leadership and commitment though our wide-ranging policies and practices. It also recognized that we have a mature program in place that involve management, employees, guests and the public, and which have shown substantial and measurable results. Our eco-friendly hotel offers accommodations to ensure a healthy, clean, safe and green environment for our employees and guests. We have tried to enhance our guests experience while maintaining a green approach to every facet of our business and their experience. We are very proud to have accomplished this, especially being that the green hotel was built in 1840 with a substantial expansion in 1904. The Fairlawn Inn may be the only historic eco-friendly hotel in the Catskills that has this high of a rating. The New York State Hospitality & Tourism Association (NYSHTA) has also recognized our sustainable hotel with both ‘Inn of Distinction’ and ‘Good Earth Keeper’ awards. We have also been recognized by New York State Hospitality and Tourism with the “Good Earth Keeping Award” for 2013. This award recognizes properties that have developed a culture toward integrating superior environmental management practices that improves everyday operations and the bottom line, while maintaining quality service and meeting guests’ expectations. The Fairlawn covers all areas from Energy and water conservation, solid waste reductions, emissions, purchasing and sustainability. We have received and maintain gold Eco-rating from Audubon International for being a sustainable hotel and we are the only property in the Catskills that has a rating from Audubon. Water, electric, and heating costs and processes have all been reviewed and usage is down in all categories. Almost the entire inn has been re-lamped with CFL bulbs, Energy Star video screens and appliances, and additional insulation and other measures to ensure we limit waste and resources. Solar was investigated but the return on investment was cost prohibitive. We use soaker hoses to water in the garden to keep watering evaporation to a minimum. Hard cell insulation was added in 2009 to the crawl space under the inn, separating the basement from that area and reducing heating costs. Continuing efforts will reduce utility usage even further. We are supplied with all green electricity using solar, wind and hydroelectric power from Blue Rock Energy. All doors and windows at the inn are double paned. We maintain temperatures in the warmer season with cross ventilation. Though we have air conditioners in every room they go mostly unused with guest preferring cool mountain air instead. In 2014, we installed dimmers on our sola-tubes lighting in our bedrooms to ensure our guests are comfortable. All walls and woodwork were repainted, and guest rooms were re-staged with new linens on all our beds. In 2013, we added sola-tubes to four rooms to enhance lighting is shaded rooms that include LED lights. Also added were three sola-tubes to the upstairs lobby and one solar powered attic fan to assist cooling in the summertime. We have composted for over 10 years. Composting includes kitchen waste, clippings from garden, leaves and lawn maintenance. We also recycle all plastic, aluminum, cans, newsprint, magazines, cardboard and glass. We have several bins in areas convenient to guests to encourage recycling and separate recycles from trash prior to disposal. In addition, we divide garden plants to expand planting beds to limit grass maintenance. Most furniture added is antique in nature so we are recycling that as well. We formulate and produce all our cleaning products with organic essential oils on site. We have eliminated all harmful pesticides and chemicals and they have been replaced with green alternatives that are phosphate free and biodegradable. The inn was painted with Benjamin Moore Aura paint which is VOC free and use paint products that are low fume and latex only. Carpets are, for the most part, older antique wool carpets ¬ another attempt at recycling. We landscape the ground of our green hotel with native species and use soaker hoses in most beds to eliminate evaporation and water only as needed if normal rainfall is insufficient. We have added new beds to ensure we do not have to edge and all beds are mulched to keep watering to a minimum. We mow at a longer length and compost all the clippings. All of our garden supplies are organic and we do use some recycled water for watering. We plant herbs that we use in the preparation of breakfast items. It is hard to beat having basil, mint and parsley picked minutes before it is incorporated and served in our breakfast entrees. We use as much recycled product as possible and guest confirmations and additional information is emailed to each guest. We try to print double sided and try to keep paper usage to a minimum. We encourage guests to “go Green” with educational signage etc. At the Fairlawn we encourage guests to go green also. We have a no smoking policy inside the house in all areas. We use bulk pump systems with organic fair trade soaps for guest amenities which eliminated individual use products. We have recycle bins in common areas and on porches during the appropriate season. We buy most of our products for breakfast within a 15-mile radius and support organic and local farmers. Our eggs are accessed from a local farm that grows its own feed with free range chickens. Most summer produce is purchased here. The farm has been in production since 1939 and uses sustainable practices like crop rotation etc. Our towel/linen reuse program exceeds a 90% rate. 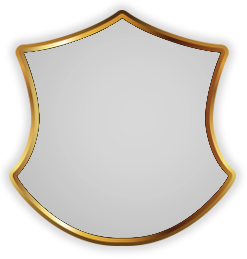 Guests have been receptive to all of our programs and participate readily.